Another little-known token was propelled into the market cap top one-hundred this week, as Etheera (ETA) soared to 82,960% growth in the past fourteen days. Etheera is an Ethereum-based token which launched in Q1 of 2018, and only made it onto data-aggregators like CoinMarketCap by October of the same year. The project aims to become a decentralized, global real-estate platform. Several new altcoins jumped into the top one-hundred in recent weeks, not least the likes of Eternal Token (XET) with its recent 3,190% growth, and the 386% growth recently recorded by Ravencoin (RVN). Etheera continued that trend over the past two weeks, climbing from a token price of $0.000015 all the way up to $0.012459. That’s 82,960% gains in just over fourteen days, and comes during a busy week for the newly minted altcoin. According to the project’s Bitcointalk page, the ETA token was recently added to the BarterDEX and HyperDEX decentralized exchanges hosted on Komodo (KMD). Furthermore, the token was added to several other DEX’s, including Bitker, Coinical and Ethershift. Those are all either small, or decentralized exchanges, and means that ETA is unlikely to find more volume than it already has. For Monday, Nov 12th, 100% of ETA trades came from the Token Store exchange, where all trades were executed against ETH. The whitepaper describes Etheera as a ‘global all in one solution for real estate’, and aims to become a decentralized hub for direct real estate deals between seller and buyer. According to the documentation, this will apply on the individual scale (hotels, bed & breakfast), as well as on the larger scale (estate agents, brokers). The number of Bitcointalk forum pages is often a good indicator of how serious a project is, and Etheera’s currently has 194 pages since its inception back in February. However, that number might be slightly misleading since almost every one of those pages is taken up by forum members attempting to squeeze as much ETA from the bounty as they can. 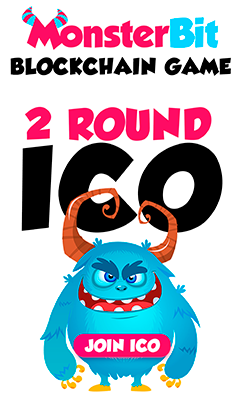 The ICO, which ran from February until June, failed to achieve the soft cap of 6,000 ETH, and was even further off the hard cap of 105,000 ETH. When the token sale failed, the tokens were distributed anyway, according to posts on the Bitcointalk forum. The bounty program was initially supposed to have 2,100 ETH up for grabs, and was supposed to represent a mere 2% of the total ten billion token supply. Despite the ICO only ammassing 43 ETH, forum members continue to engage in the bounty program, perhaps in the hope of brute-forcing the token into the public consciousness. If Etheera can hold on to its recent 82,960% gains, then that moment might not be too long away.